The Material Matters: Which Welding Wire Should You Buy? Home » The Material Matters: Which Welding Wire Should You Buy? Plenty of welding wires are available for almost any type of welding project. They come with various mechanical properties, behaviours, arc and intended usage. Based on your need for quality, cost and productivity, you can talk to your welding wire distributor to help you choose your welding wire from the three options available. These are solid gas metal arc welding (GMAW), composite GMAW and flux-cored arc welding (FCAW). This category requires a composite metal electrode or a solid wire electrode. The solid wire category is normally referred to as GMAW electrode. However, the mechanical property and strength of this electrode mainly depend on the type of shielding gas and chemistry of the wire used. The essence of the shielding gas is to offer protection to the weld against the atmosphere. Most fabricators prefer to use this category since its weld deposit does not have slag. It also requires minimal cleanup, thus increasing efficiency. When using this electrode on a blasted plate, its travel speed is excellent. However, when operated on a plate, which has a heavy mill scale, the wire does not perform as optimally as flux-cored or metal-cored wires. This wire does not deoxidize mill scale efficiently, affecting its travels speed and the bead shape. This category is made up of tubular electrodes that have metallic constituents on their core. Similar to the solid GMAW category, metal-cored electrodes give a slagless weld, which requires minimal cleanup. Its performance can be equated to that of a solid GMAW wire. Previously, this was categorised under the flux-cored wire and subcategory coloured wire, but it is now recognised as a composite. Due to its metallic components, a metal-cored wire can handle surface contaminants and mill scale better than solid wires. Additionally, if travel speed is one of your major concerns, a metal-cored composite GMAW wire should be your first electrode choice. When operated on a plate with mill scale, the wire produces improved wetting and a flat bead shape, which increases productivity. These electrodes are tubular, and they have deoxidizers and fluxing agents in their core, which provide additional protection for the weld from the atmosphere. Welders can further engineer flux ingredients to improve the mechanical properties of the gas shield weld deposit. Gas-shielded electrodes are available for both in-position and out-of-position welding. If you are looking to weld a dirty base metal, this is the best option for you since it is the most tolerant of the three options. However, it leaves a slag on the weld, making it the most labour intensive choice due to the amount of time spent cleaning up the slag. 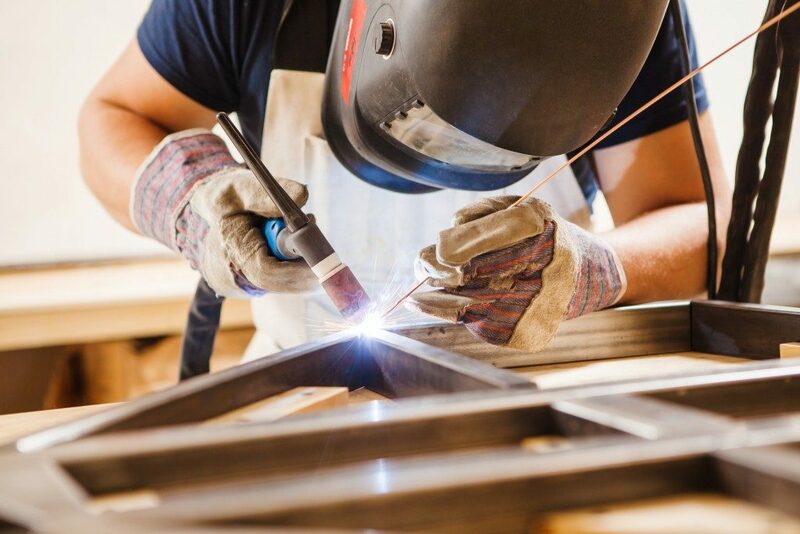 When planning for a welding project, you are not limited to using the same type of wire that you have always used. Since not all electrodes are created the same way, choose a wire that has a consistent diameter, chemistry, arc performance and feedability. The slightest wire variations can result in inconsistent welds, lower productivity and higher operating costs.